In the past I always checked for new parts at the end of each month, but that meant I missed parts that were added on the first day of the month, which TLG often do. Now I have changed my schedule to check for new parts at the beginning of each month so you hear about them much sooner. 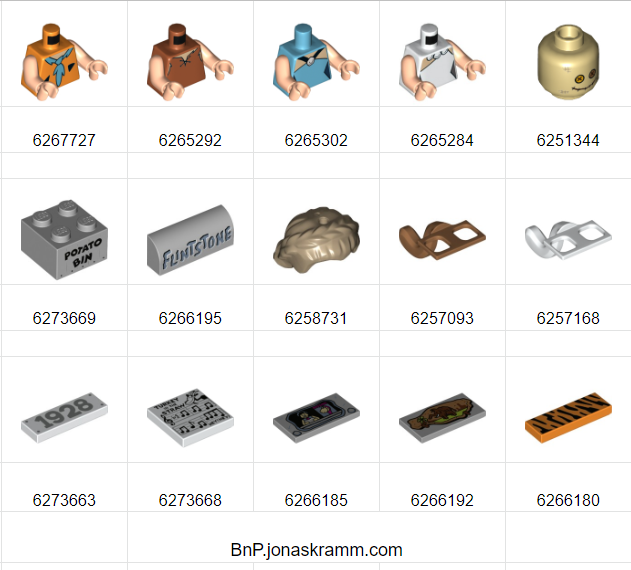 Highlights include the recently released LEGO Ideas sets Steamboat Willie and The Flintstones, which fill the minifigure sheet and the list of decorated elements this month. After the release of the Mustang last month, I took time to make a list of all parts available in Earth Blue [TLG]/ Dark Blue [BL] and was happy to find quite a lot (263 elements). The other colour I feature this month is another fan favourite: Sand Blue. 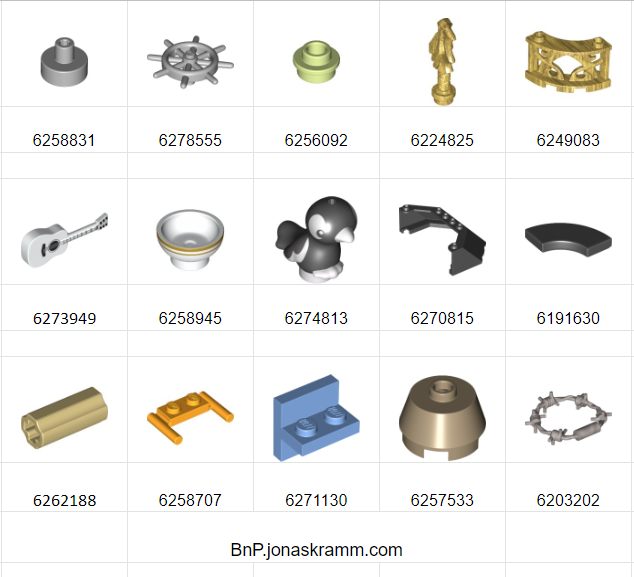 Included under “Parts” are also some of the fresh LEGO Education SPIKE Prime moulds, but some of them may have already sold out. Once again thank you for everyone who submitted part suggestions. The list was really long this time. New highlights coming in May! This project isn’t sponsored, recognised or supported by The LEGO Group in any way. Help New Elementary keep on publishing. Become a Patron!